Exciting news: RoosterPLUS is here! We’ve listened to parents and children alike and created additional building blocks to power up your RoosterMoney account – and now you can involve the entire family! Maybe your child earns their pocket money through chores or maybe you just want to set a one-off reward. The Jobs feature is a useful framework to help you do whatever works best for your family. 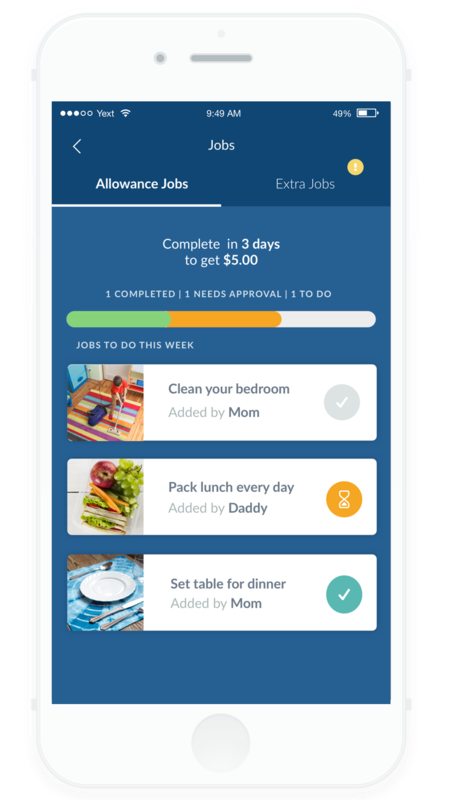 You can even add a note or photo of the chore so your child can see what needs to be done and make the connection between completing tasks and earning pocket money. It can be hard to get children to save or understand why they need to set money aside for a rainy day. With Interest, you can incentivise saving so that your kids earn more depending on what’s in their Save pot. It’s also a great way to help explain real-world financial concepts to children and get them genuinely excited about saving! Sometimes there are things we spend on every week, which can help kickstart budgeting in your family! 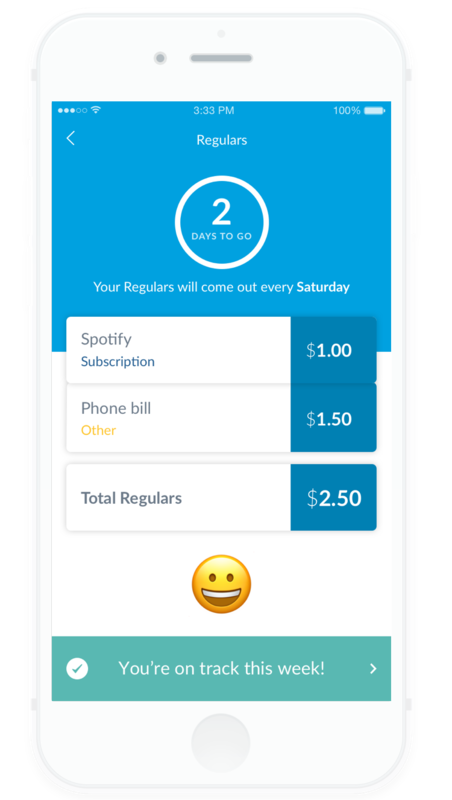 Our Regulars feature makes it easier to deal with those regular outgoings like phone bills or magazines subscriptions. 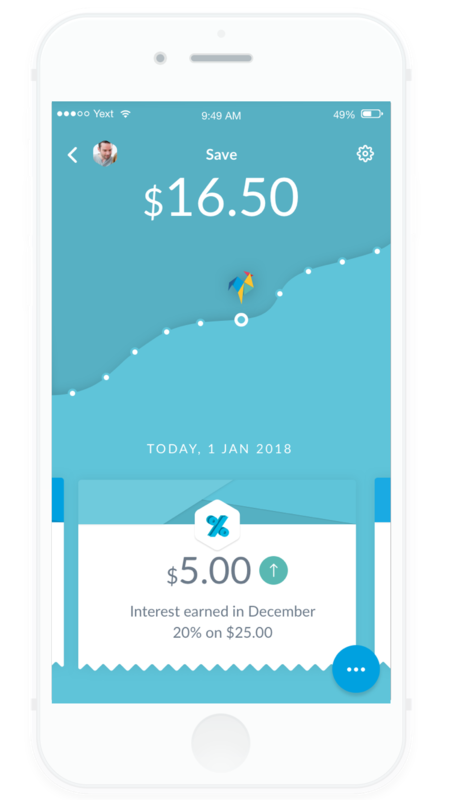 PLUS also encourages your child to understand how much they need to earn to meet their Regulars and whether they’re behind (and to find more ways to earn)! We know that more than two people are often involved in a child’s life, so now you can involve the whole family with RoosterPLUS. The added benefit is that with more people involved and contributing on the pocket money journey, the more these moneywise habits can get ingrained. Add as many guardians as you like – grandma, granddad, aunties and uncles! 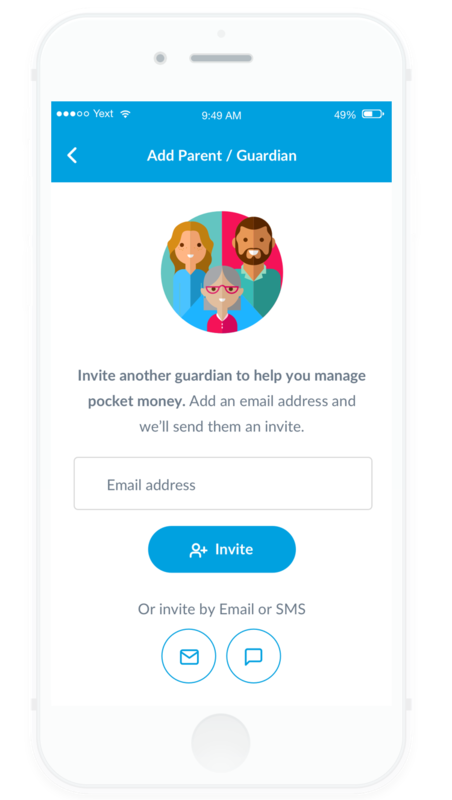 To add a guardian, go to Manage Family from your Menu, and tap the PLUS icon and ‘Add Parent’. LEARN MORE>>.